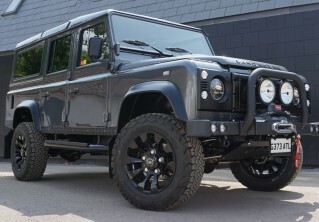 If you are choosing to create a custom Defender that suits your lifestyle and taste, decisions about the interior can be just as important as the exterior; the interior is another extension of your vehicle’s personality. Our team will listen to your requirements, whether that be sleek and stylish, traditional or flamboyant, guiding you through the process from start to finish. With hundreds of options to choose from, you’ll have free rein to design an interior as individual as you are. 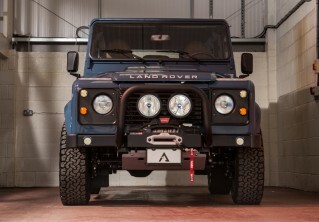 We offer a variety of seating style choices, each one helps to define the personality of your Defender. For a traditional look, clients may lean towards original or modular seating options, whilst those wanting extra comfort may opt for Exmoor Trim’s Elite Seats, which include longer seat bases giving superb support under the legs with raised sides for added stability. For the ultimate in car seat thoroughbreds, the Recaro® Cross Sportster CS could be just the thing to give your Defender the ‘wow factor’. Recaro’s provide optimum body support through their sports style pronounced side and shoulder bolsters. For all seat options there are a host of leather tones and textures, but all can be covered with a bespoke Ruskin Inside™ design. 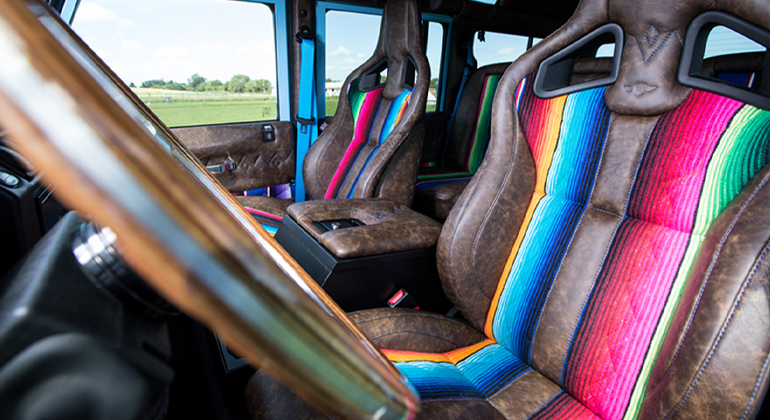 Ruskin Design has adopted a ‘fashion house’ approach to car trimming of the highest quality. Your choice of steering wheel will not only embellish your interior but will also enhance your driving experience. At opposite ends of the style spectrum are the Exmoor Evander Wood Rimmed and the MOMO® Montecarlo steering wheels. The Evander has a billet aluminum core with classic Beech wood rim and with solid rivets. 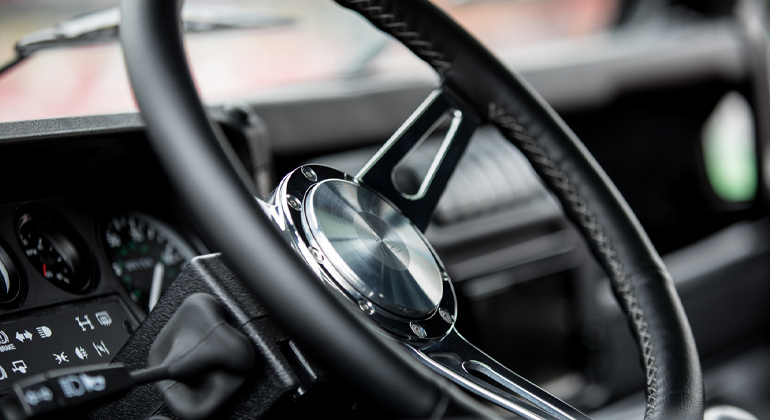 The MOMO is a racing style steering wheel which can be finished in your choice of grip, spokes and thread colour. The Arkon X steering is our wheel of choice for its timeless design of silver spokes with leather trimmed wheel, colour matched stitch and the Arkonik logo at its centre.